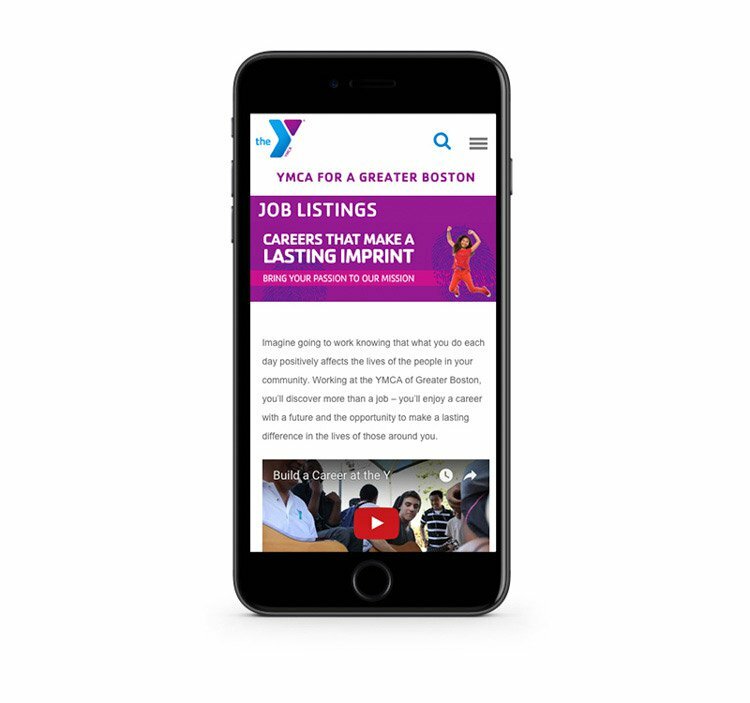 The YMCA of Greater Boston ranks as one of the largest urban Ys in the nation, is the largest provider of after school programs and child care in Massachusetts, and leverages resources to provide over $10.3 million in critical services at no cost to low-income participants. 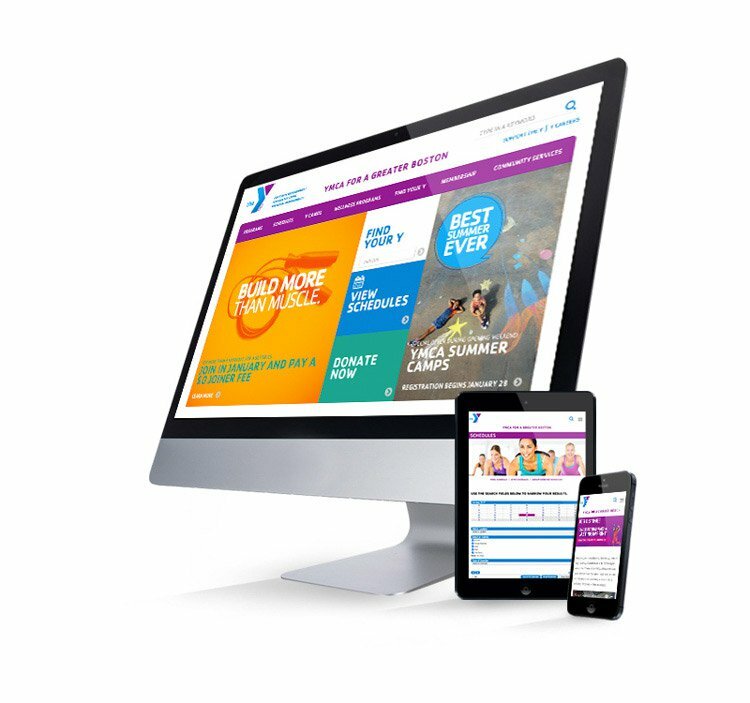 To support this complex, growing and important organization, we redesigned and developed a new YMCA website with the goals of increasing donations, registration for classes, and an overall awareness of the Greater Boston YMCA locations. To achieve these goals, we delivered user testing in the form of task analysis on a functional prototype to ensure successful completion of mapped user journeys, underwent an open card sort to understand how users understand and look for content, and provided creative design from a mobile first perspective. 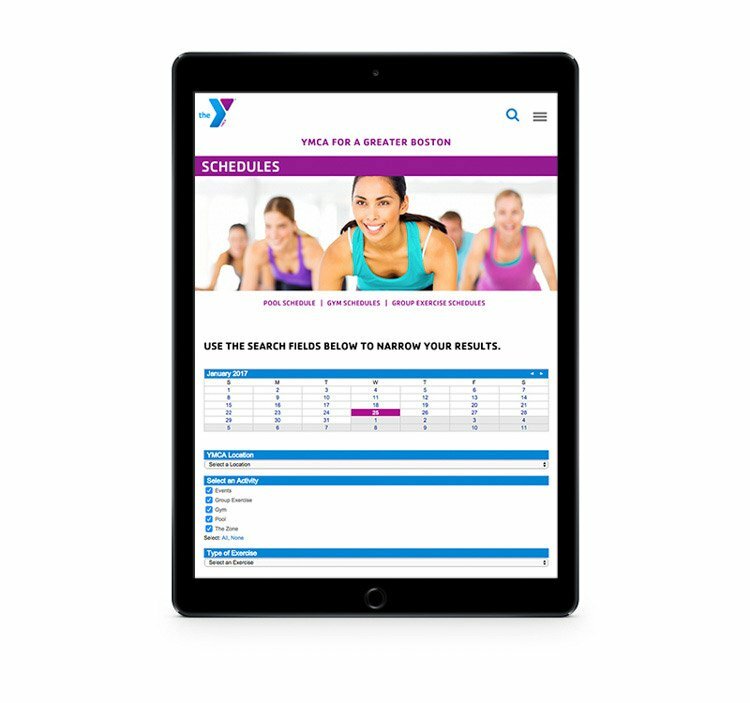 All of these activities drove to a clean, modern and user-friendly digital experience for all of the YMCA’s users.